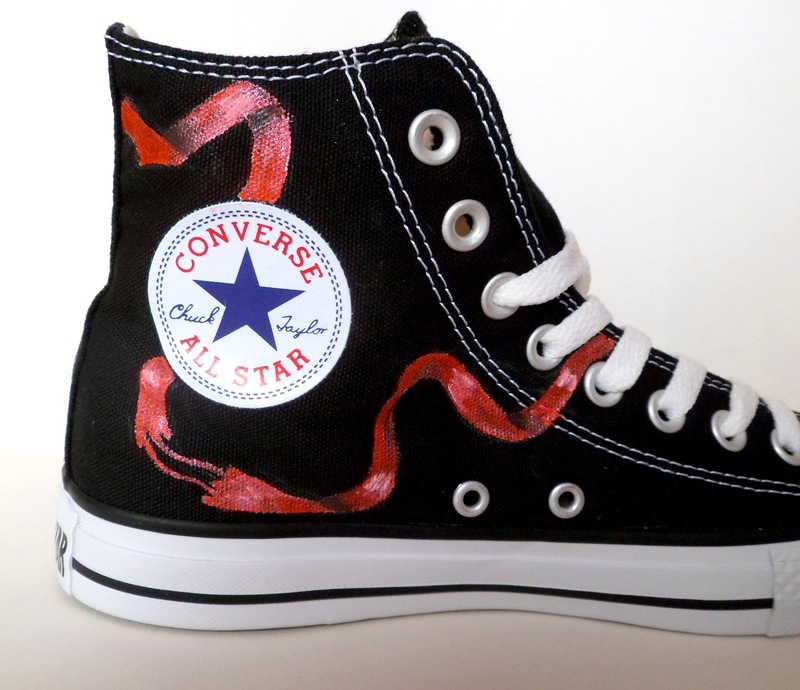 As some of you may know, I used to run a very successful Etsy shop selling, amongst other things, custom Converse. You can find photos in the art section if you are curious. I quit that business about a year and a half ago. 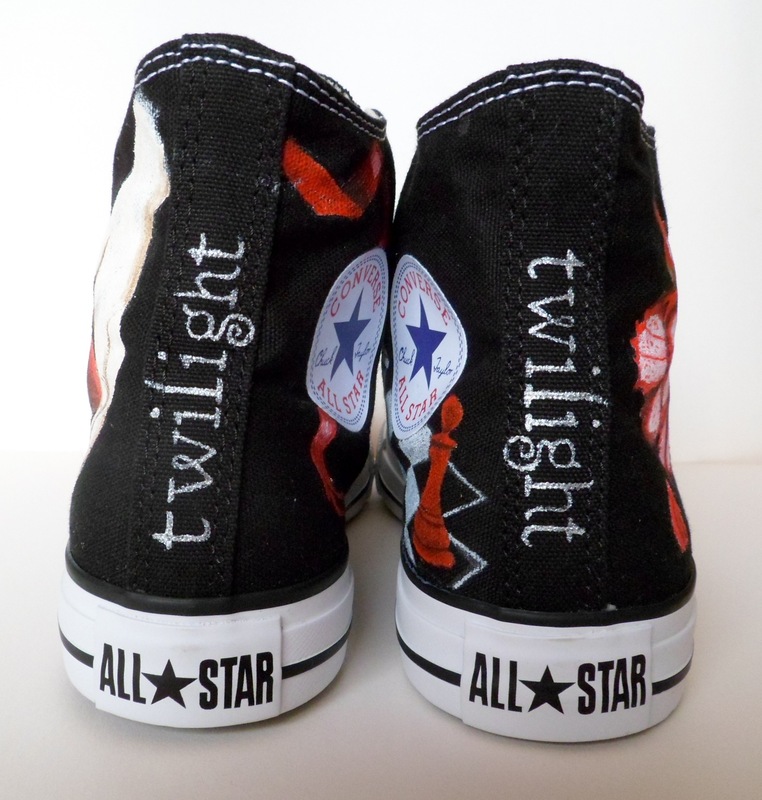 However, I just discovered I still have a single pair of Twilight Converse that need a new home. 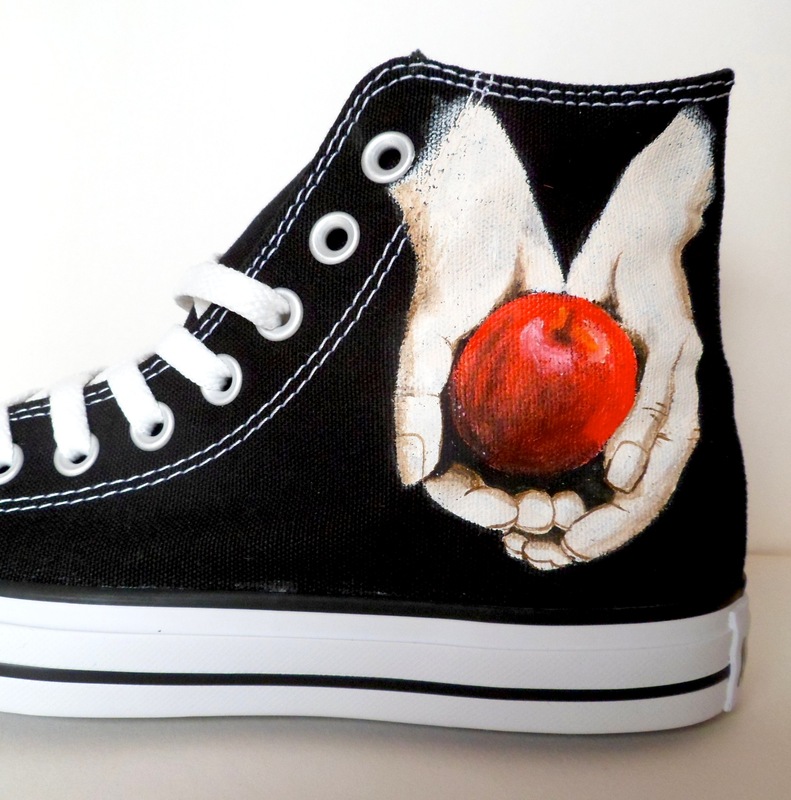 They are a small size, youths US 3, UK 2,5, EUR 35 or 22 CM. 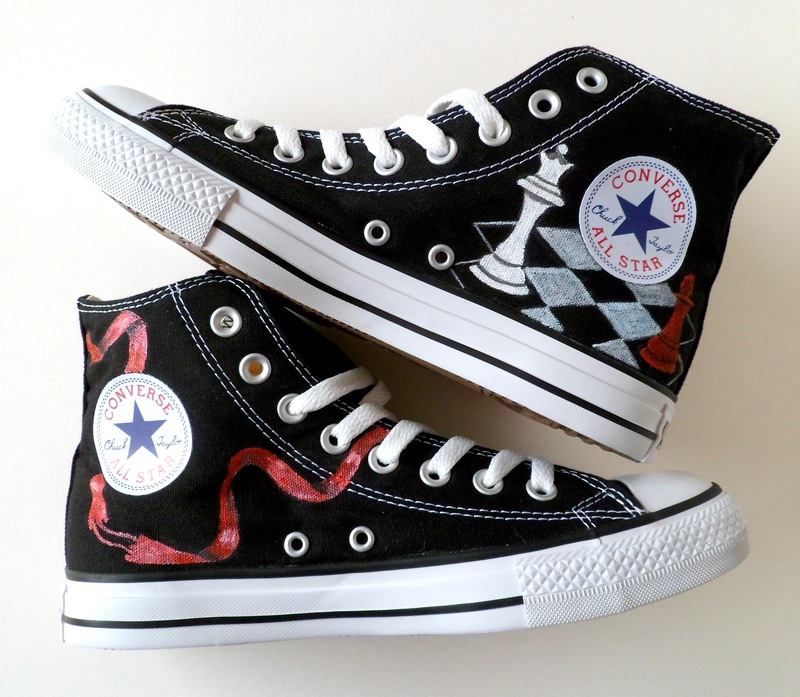 I used to sell these for around $125 (100 euros) plus shipping. 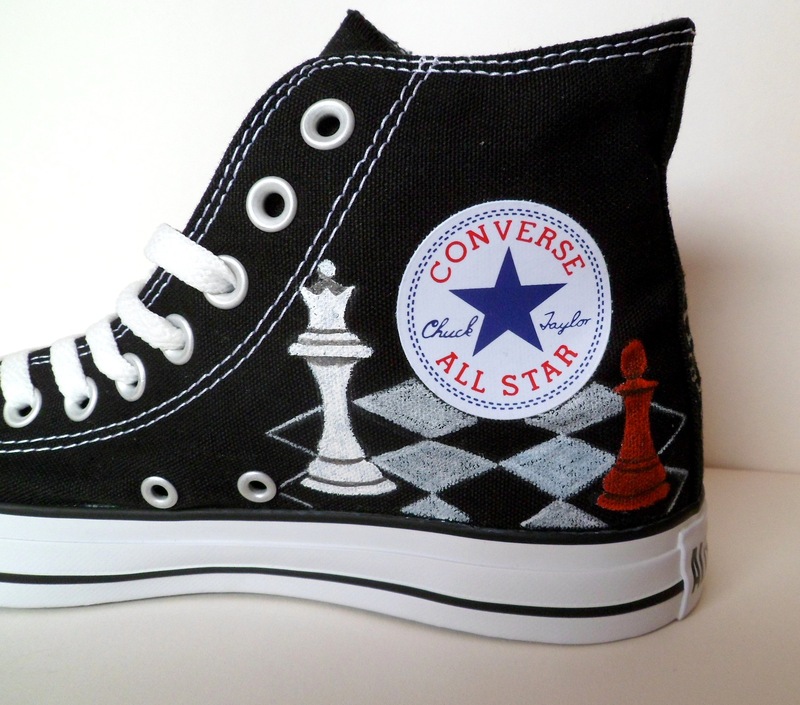 They are genuine Converse All Stars of course. I will give these shoes away for free to whoever can assure me that the shoes will go to someone who will really love them. I only ask for the shipping costs, which are 7 euros for the Netherlands, 13 euros for the EU or $31 for the rest of the world. 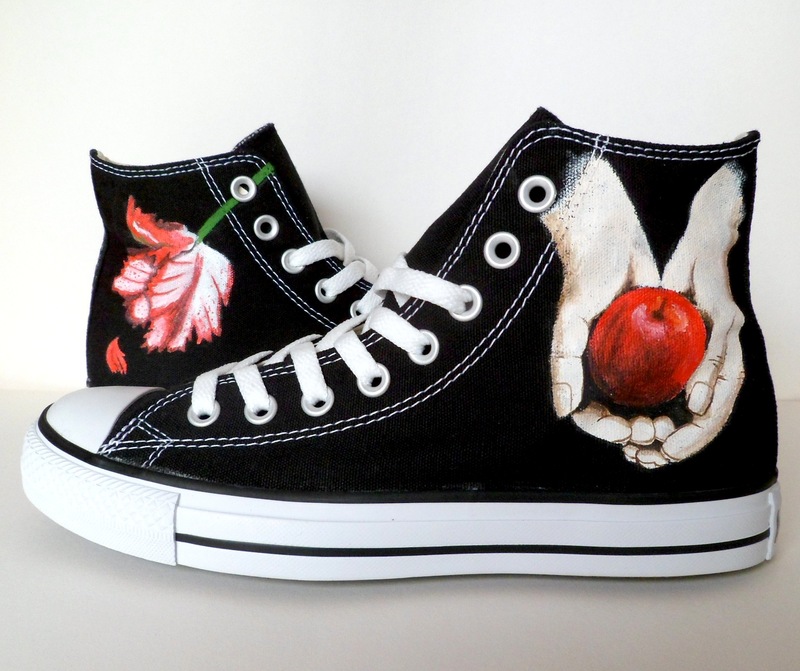 So if the shoes fit you and you love them, or you know someone who would fit and love them, please let me know (and convince me). Feel free to share this link! 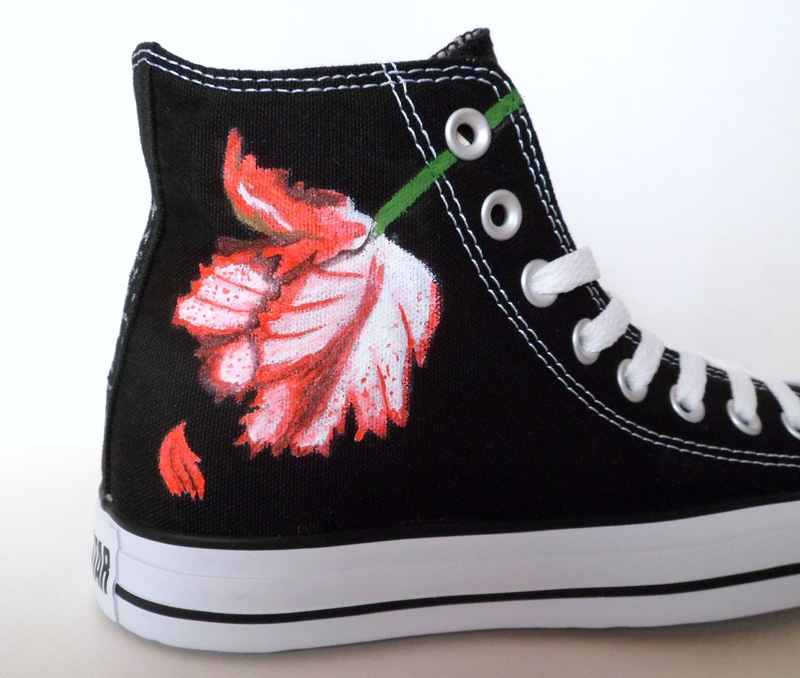 And just to be clear: I won’t paint more shoes. I’m just too busy, sorry. my sis Sheelin Halligan is a 3? and it so happens she is LEAVING me tonight to go to…..”the BIG APPLE”…New York… and there THAT goes to my f***it list as my brain would explode on long haul… but i DO love my sister enough to wish that she wins them… She is the best sis…so i really would love her to get them. Thanks for your comment! I’ll be picking the winner on Saturday.